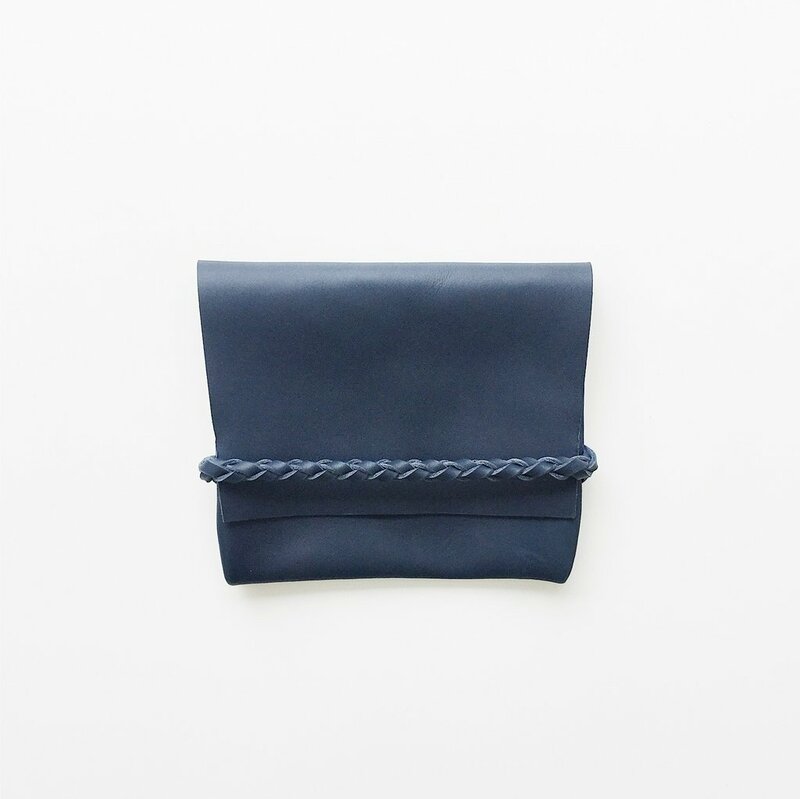 The small fold over clutch in navy. 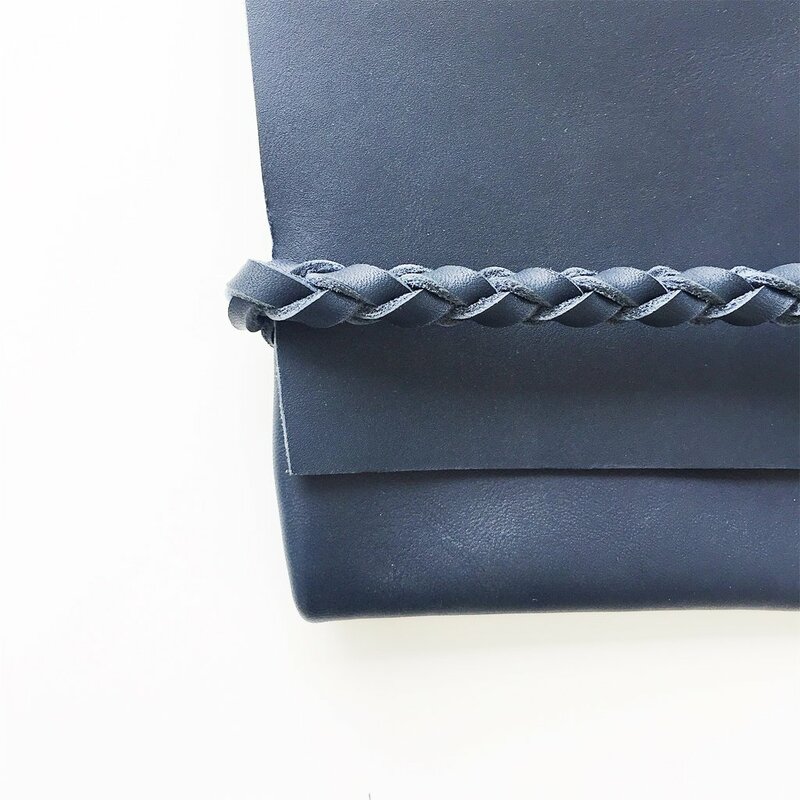 Braided strap closure. 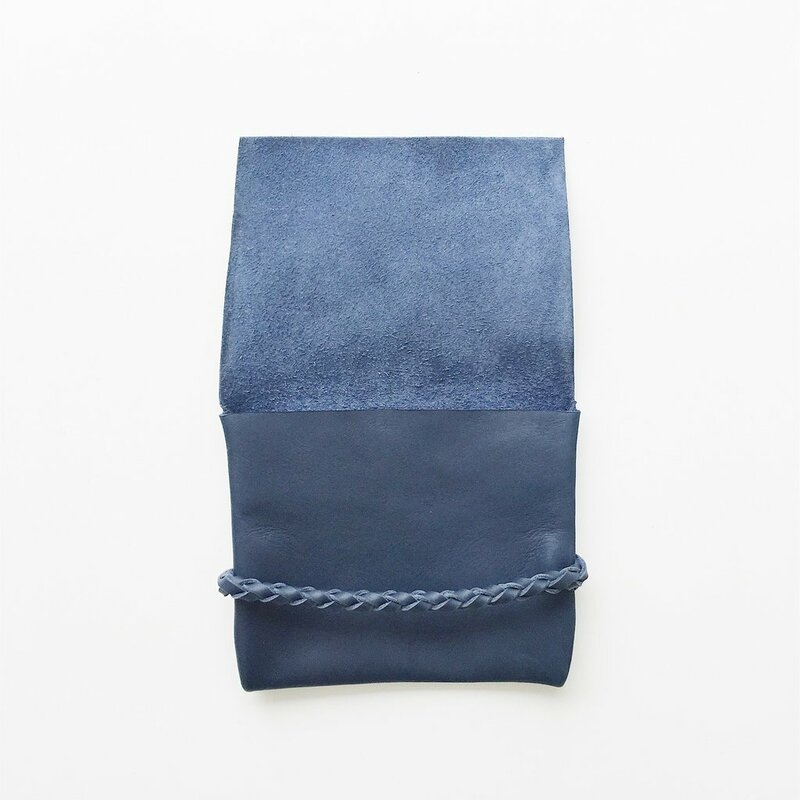 Interior pocket.